Thirst trend, dear shoppeurs? HJK inaugurates its latest selection of dress shirts cut right man. Feel-most and wear the shirt cut right man to refine your style. Straight Cut Shirt Man Dressed! The straight cut shirt man will always be a item to have in his drawers. The shirt is cut straight man in gray and trimmed in a sophisticated way. Heart Jacking launches its line straight cut shirt man selected by the professionals! Choose straight cut shirt man shot from the heart dress shirts at HJK. Shirt cut right man to come out! Looking straight cut shirt man for a party, a straight cut shirt everyday man or a shirt cut right man for all occasions? 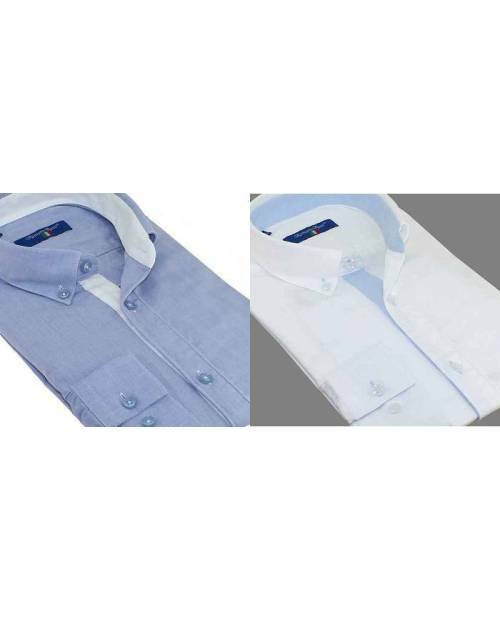 No more searching, to be stylish, fashion, parry you the last man HJK straight cut shirts. With its original features (original shirt collar, double collar shirt, etc ...), straight cut shirt man Heart Jacking you will discover the true mode. Available in size Small to Triple XL, chic or adjusted further, give yourself straight cut shirt man from the line of men's shirts HJK! Je le conseille à mes collègues.